Achema is the world forum for process industries across all fields of service. Established in 1920 and taking place every 3 years since then, Achema returns to Frankfurt am Main, Germany from 11th – 15th June 2018. This exhibition is an innovative platform and technological forward summit, welcoming over 166,000 visitors from countries worldwide. Achema facilitates the collaboration between thousands of key influencers within their related industry through a congress programme consisting of events, panel discussions and lectures from industry innovators and experts. Russell Finex is excited to once again be a part of Achema with award-winning innovations in separation and filtration equipment. During the exhibition Russell Finex’s experienced sales engineers will be available to discuss sieving and filtration requirements and provide the best customized solution for industry specific requirements. 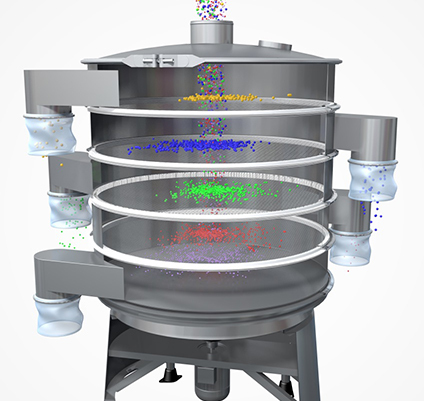 The Russell Compact Sieve® - This vibratory sieve is ideal for removing oversized contamination from powders and liquid slurries. This screening machine achieves a higher throughput when compared to conventional vibrating screens whilst improving product purity. 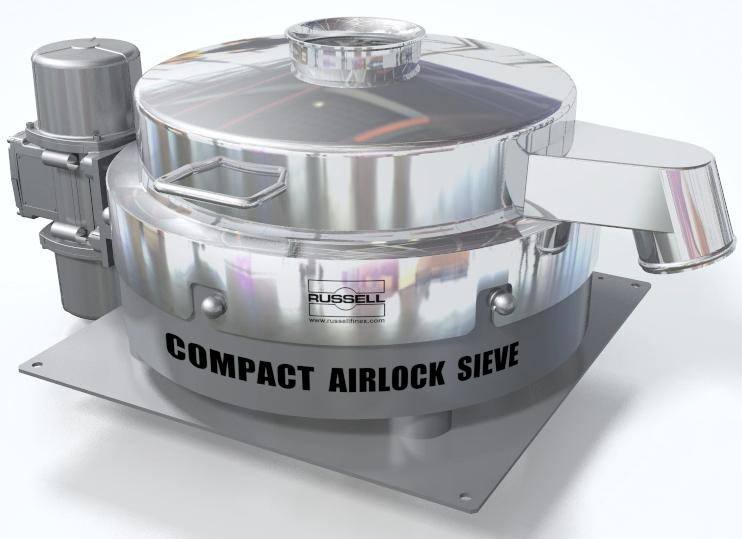 The Russell Compact Airlock Sieve™- This innovative vibratory sifter has a bespoke twist, lock and inflate (TLI) system which maximizes screening performance. Fitted with the Russell Compact 3in1 sieve™ specification for the show, it’s cGMP design ensures sanitation whilst enhancing performance and safeguarding operators from harmful dust. Blow Thru Sieve™- This pneumatic sieving machine can be used to screen materials at any point within the production process. The Blow Thru Sieve™ efficiently sieves and conveys the product in one single operation, reducing downtime and minimizing operator involvement. Finex Separator™- This vibratory separator can be used to grade wet or dry materials up to five fractions in one operation. The machine will be fitted with the Vibrasonic® Deblinding System which reduces mesh blinding, Russell Vibrastop™ which reduces excessive noise and movement, Russell Gated Outlet™ which achieves maximum screen efficiency, and Russell Screen Changer™ which allows safe and comfortable access to the screens requiring inspection or replacement. The Russell Liquid Solid Separator™ - This advanced centrifugal separator has the ability to separate soft and fibrous oversized materials from any process, reducing the loss of good product, as well as reducing the disposal costs of effluent streams. The Self-Cleaning Russell Eco Filter®– The self-cleaning filter range have the ability to remove any oversize materials from liquid products. Fitted with a unique SpiroKlene™ wiper system, these filters increase production rates and product quality, whilst eliminating downtime or costs for filter replacement. The Russell Hygiene Filter™ which has been designed specifically for sanitary applications will also be on show. Visit Russell Finex at Achema in Hall 6 Stand C75 to discover how this range of industrial separation equipment can be customized to improve your product and enhance your production process, or try the online Interactive Application Finder tool right now.